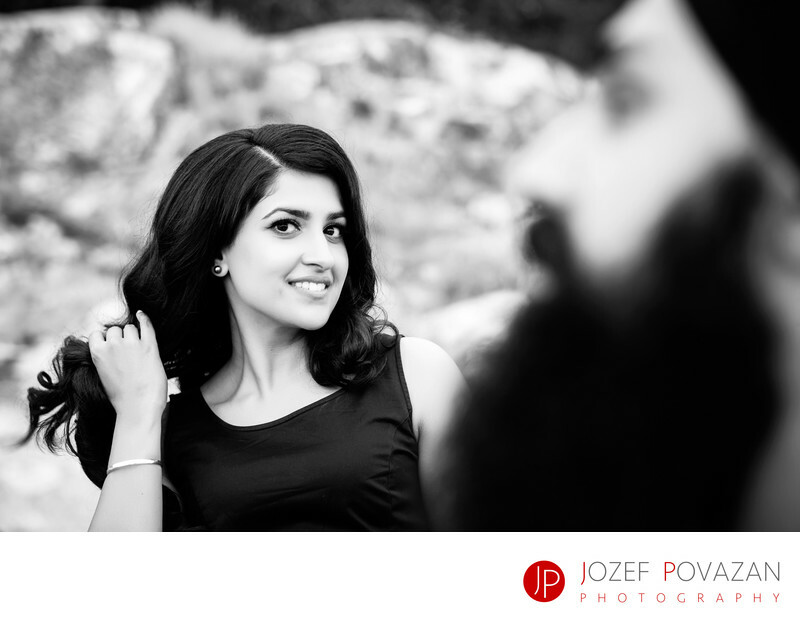 romantic engagement indian sikh couple having fun time - Best Vancouver wedding photographer Jozef Povazan Photography studio. Having great time during e-session. Indian bride and groom pictures from Lighthouse park in West Vancouver. My couples love modern, creative and unique wedding imagery. Photographed by BC wedding photographer of the year Jozef Povazan Photography. Location: Lighthouse park, West Vancouver, BC.